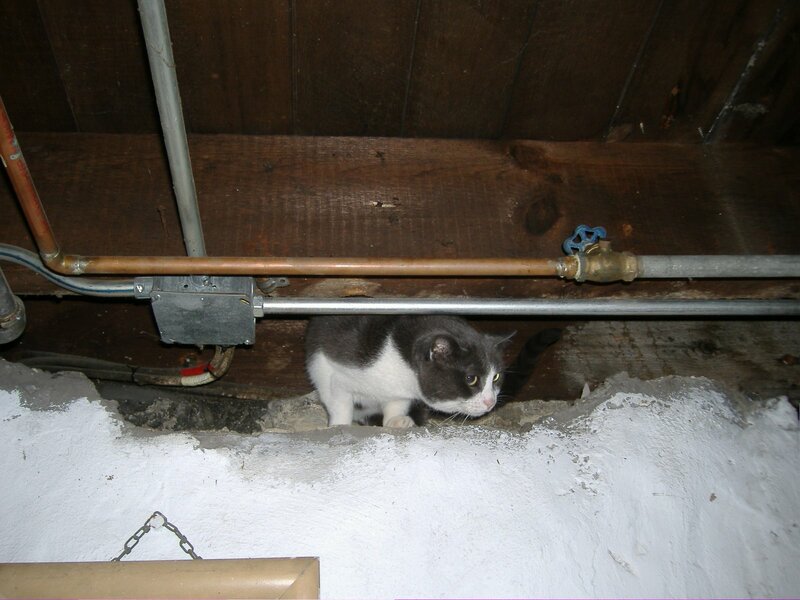 Collette LOVES the gaps in my basement walls. I’m always afraid she’s going to get trapped some day! I’ve sealed up some of the worst offenders, but every now and then, when coming downstairs, I’ll suddenly see eyes peering at me from the ceiling. 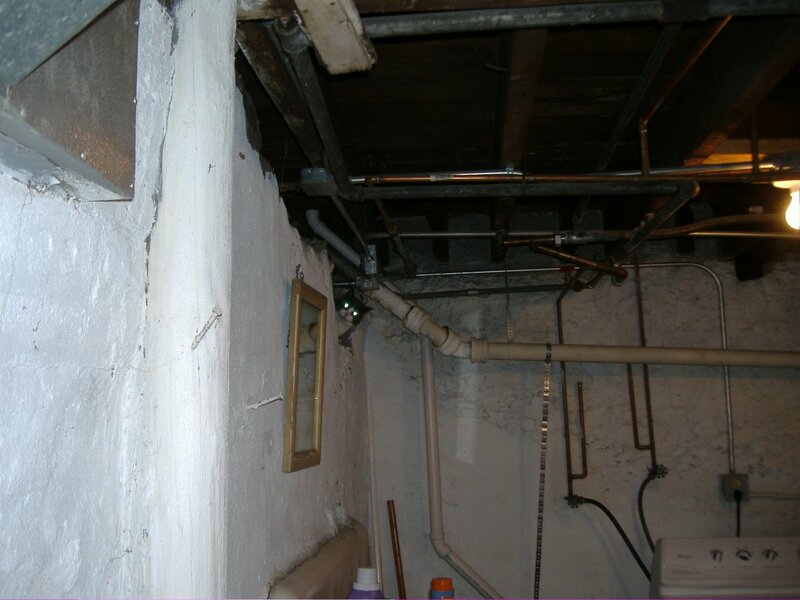 This entry was posted in House maintenance and tagged Basement, Collette. Bookmark the permalink.